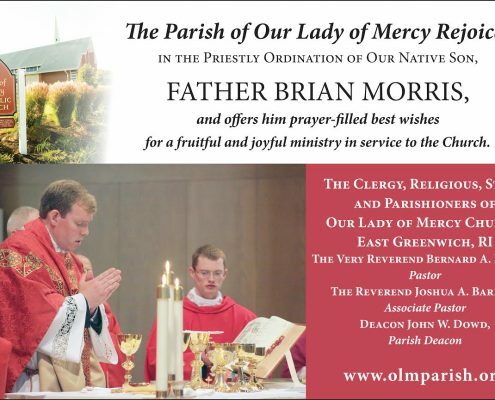 With great joy we announce that Deacon Brian Morris, a member of Our Lady of Mercy Parish and a graduate of Our Lady of Mercy School is to be ordained a priest for the Diocese of Providence this week. 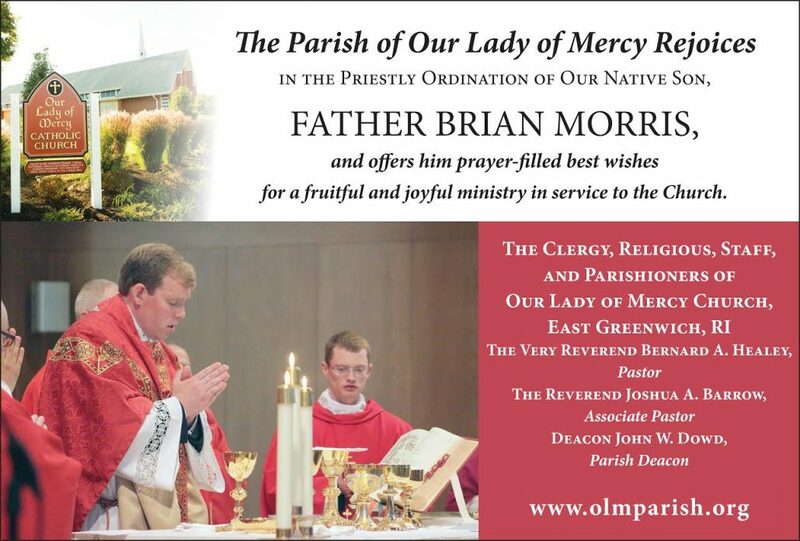 Deacon Morris is the son of OLM Parishioners, John and Marybeth Morris. 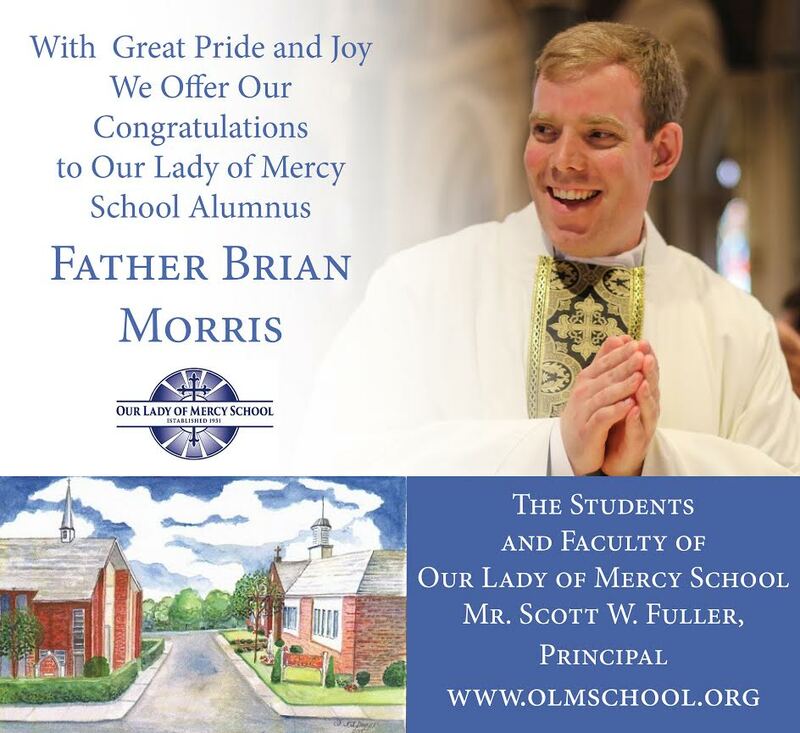 John Morris currently serves as the President of the OLM School Advisory Board. Please pray for Fr. 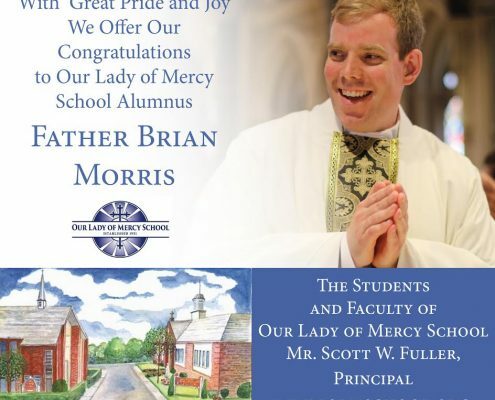 Morris and his priestly ministry.